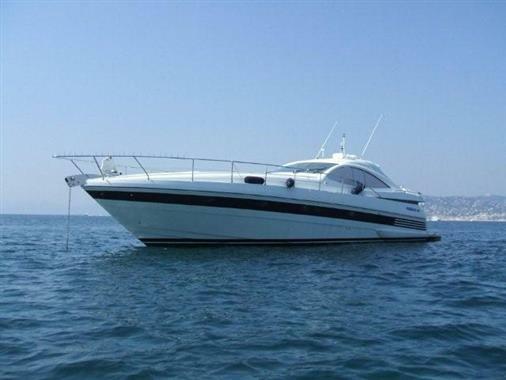 This exceptionally well maintained, French Tax Paid and RINA coded, Pershing 54, is an excellent example of this popular Pershing model. She is lying on the Cote d'Azure, France and with her sparkling performance and custom stereo system, she will make your hair curl not once, but twice! 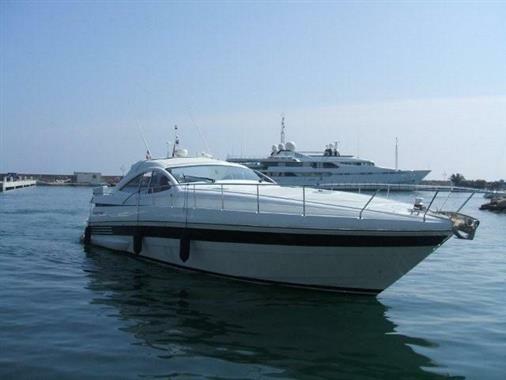 18 m berth in San Remo also available for sale under private negotiation. 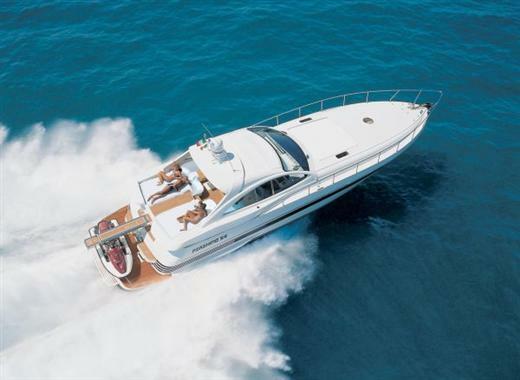 Questo yacht è stato dotato di ottimo sistema audio personalizzato. 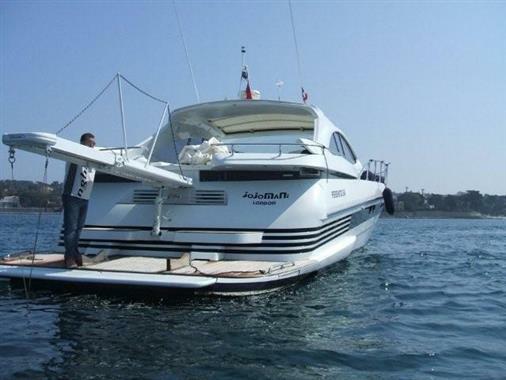 This yacht has been equipped with a state of the art, custom audio system. Grande area comoda con divano a "U" con spazio per 6 persone. A large comfotable area with "U" shaped sofa with room for 6 people. Cabina armatoriale spaziosa e ben attrezzate e con bagno privato, letto queen size ventilato * porta armadio ciliegio lucido con specchio * Armadio con asta vestiti * comodini ciliegio in lucido * armadietti in ciliegio lucidato * specchio a paratia di prua. A spaciouse and well equipped en-suite cabin at the forepeak of the yacht including; Queen size ventilated bed * Polished cherry locker door with mirror * Locker with clothes rod and internal light * chest of draws in polished cherry * nightstands in polished Cherry * Hanging lockers in polished cherry * mirror at fore bulkhead. Cabina ospiti luminosa e spaziosa con due oblò * due letti singoli e ampio armadio con accesso al bagno giorno. Light and roomy guest cabin with two portholes * two single beds and ample storage with access to the day head. Cabina ospiti privata con letto matrimoniale * bagno en suite* Armadio con asta abiti e specchio, luce interna e armadi in ciliegio lucido. A private Guest cabin with queen size bed * a full en-suite bathroom * Locker with clothes rod and internal mirror light and hanging lockers in polished cherry. Concealed galley with top folding doors and stainless steel protection * Polished cherry hanging lockers * 220V extractor fan * Microwave/combination oven * freezer/fridge 62lt/160lt * stainless steel double sink with folding pressure tap * hot plate ceramic glass with four burners and a pure black granite work counter.